“Amour” is a show addressed to the whole family. 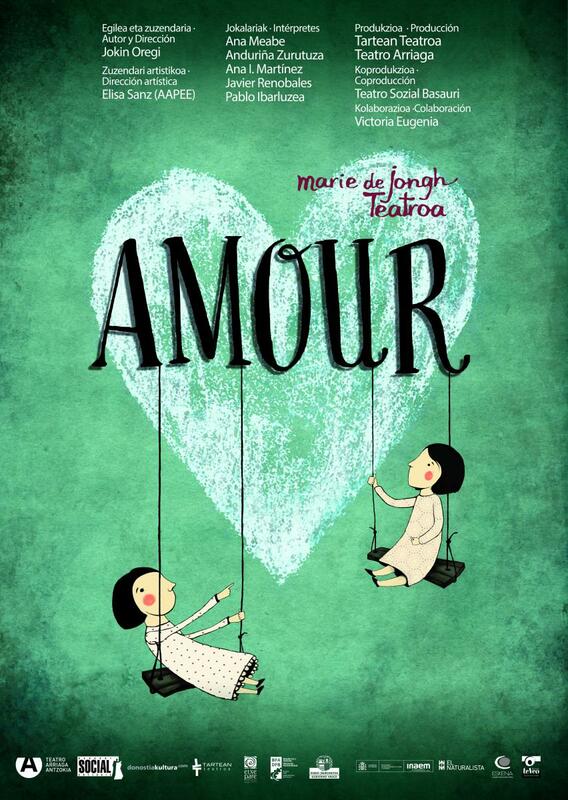 AMOUR”, a play that not only makes us think about the thin line between disaffection and unconditional love in order to get rid of prejudices but also opens the road to the encounter of the different. Some children are playing in the country where everything starts. They are discovering the world while they transform their universe. They imitate their elders, bravely and audaciously. They feel able to love despite not knowing the real meaning. They fall out with each other even if they have not found yet the word “hate” in their pockets. They are already familiar with the meaning of the skin, smell, caress, neglect, refuge, and desire. However, they know nothing about what time is. Suddenly, over sixty years have gone. Now, aged, they take hundred of words out from their pockets which are dropped as if they were withered leaves. They know about skin, smell, caress, neglect, refuge, desire. And, paradoxically, they have no doubt about falling out with each other even though they already know the real meaning of love. They are familiar with what time is. What they do not know is that love can always give us an opportunity.